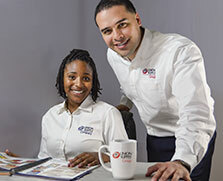 Since its founding in 1991, Union Supply Group has grown into the most innovative and price sensitive supplier of commissary goods and services. Union Supply provides food, apparel, footwear, electronics, and personal-care products to State, Federal and County correctional institutions nationwide. 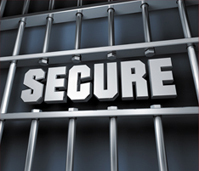 Today Union Supply Group offers more than 12,000 items in secure, correctional-appropriate designs and packaging to meet the safety and security needs of the correctional industry. With nearly 600,000 square feet of warehouse space at our distribution centers near transportation hubs in Los Angeles, Ohio and Florida, Union Supply Group fills orders accurately, completely and on-time. We pride ourselves on same day shipping on all orders. Union Supply Group is exclusively dedicated to supplying the correctional industry. We have become the fastest-growing commissary provider in the industry by emphasizing security, innovation and value across our entire product range. Union Supply Company is the provider of choice to commissary and canteen managers across the country. Union Supply company provides the largest selection of athletic footwear, sandals, work boots, electronics, clothing and miscellaneous hard-goods in the industry. Our cutting-edge products include electronics in clear plastic cases and rugged work boots with nylon eyelets. Food Express USA provides food and personal-care products to commissaries and canteens. 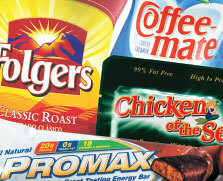 Food Express provides a wide range of national and private label brands in convenient and safe packaging. Food Express delivers value and quality while listening closely to each commissary manager to be sure our products meet their needs. Union Supply Direct offers offender and/or friends and family package programs state-wide or for individual institutions. Union Supply Direct offers the entire product range of Food Express and Union Supply Company as well as many unique items acquired to meet special requests. Each program can be customized to let friends and families and/or offenders themselves purchase packages. Purchases can be allowed weekly, monthly or quarterly and/or for special seasonal or holiday programs. Custom CD Program A Union Supply Media custom CD lets inmates choose individual tracks to create their own personal mixes. This freedom of choice increases sales and inmate satisfaction and gives management complete control of the content sold in their facilities. 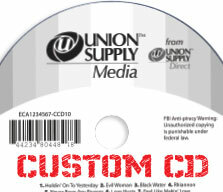 Union Supply Media can create, label and ship custom CDs almost instantly with our high-speed CD writer. US Commissary Solutions directly manages entire commissary operations for State and other large correctional agencies. US Commissary Solutions provides, implements, and manages end-to-end solutions from kiosks in the lobby to the commissary and trust account software and hardware.